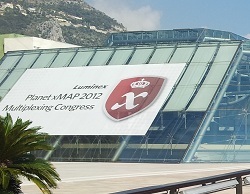 THE TENTH annual Planet xMap conference, currently underway in Monaco, has addressed many of the topical issues in medical research and diagnostics including the outlook for the people of the poorest nations, the potential of neuronal stem cells, and the precision nature of future medicine. Keynote speaker Dr Jean William Pape delivered an engaging commentary on the last 30 years of troubled health issues in Haiti. Pape was the first to identify Aids in the developing world, in his seminal 1983 paper in the New England Journal of Medicine. He set up the Gheskio Centers to provide basic healthcare to thousands of the poorest Haitians, starting with relatively simple rehydration therapies for diarrhoea which immediately reduced infant mortality from over 40 percent to under 5 percent. Pape’s Gheskio Centers have since weathered a series of crises, including the Aids epidemic, the devastating earthquake of 2010 and subsequent cholera outbreak, and a series of damaging hurricanes. He described his approach to treatment, observing that many patients present with complex multiple conditions. Significant among the achievements for which the Gheskio Centers take some credit is the reduction in Aids incidence from 6.2 percent to 2.2 percent of the population – still a high figure, but demonstrating that anti-retroviral treatments and educational programmes can combine to make a difference. Planet xMap is sponsored by Luminex, whose microbead assay systems allow multiplexed diagnostics and medical research. The company’s technology can detect many different pathogens by looking for protein and DNA sequences of the surface of the specially-treated microspheres coated with specific receptors. The conference has attracted over 500 delegates, with 40 presentations and a poster session all linked by the use of Luminex systems in either medical research or diagnostics. The company announced that it is to launch its newest diagnostic system, following its recent acquisition of GenturaDx, in 2014. This will combine both companies’ proprietary technologies to produce a so-called sample-to-answer diagnostic instrument which will dispense with the usual microplate. Instead, it will allow a sample to be introduced directly into the instrument for multiplexed analysis. Other presentations at Planet xMap 2012 have covered many aspects of genomic and protein research along with clinical diagnostics and healthcare issues. Among those that caught our attention were a discussion of the use of the Luminex liquid bead assay to develop a new test for cystic fibrosis among different ethnic groups (Dr Felicitas Lacbawan, Downstate Medical Center, New York), and an appraisal of the prevalence of thrombosis following stent implantation according to an individual’s predisposition to different commonly-prescribed drugs (Dr Paul Gurbel, Johns Hopkins University, Baltimore). The outbreak of E Coli in Germany last year which killed 53 people and infected nearly 4000 took place, coincidentally, shortly after the introduction of a Luminex gastrointestinal pathogen panel, which was one of the tools rapidly deployed in the emergency response (Dr Oliver Schildgen, Cologne State Clinic). A similar gastrointestinal panel has been assessed as part of a wider economic study at Guys and St Thomas Hospital, London, as reported by Dr Eugene Halligan. Each of these presentations, along with several others, are part of a movement towards what Luminex calls precision medicine. The phrase personalised medicine has attracted much attention in recent years, boosted by rapid advances in genomics and proteomics, but the sponsor of this vibrant symposium prefers to speak of precision in diagnostics. It says its technology is making a great leap in the efficacy of diagnostic tests, moving away from streaking microbes on a plate (a “19th century technique”), to a more advanced modern system of multiplexed bead-based systems.